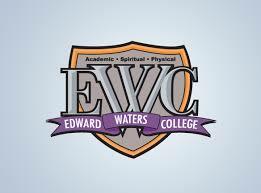 Edward Waters College is a private, historically black college whose future is lined with pride, growth, and success. Edward Waters College, the oldest private institution of higher education in the state of Florida, was founded in 1866 specifically to educate newly freed slaves. Today the College stands as a beacon of hope for many young people who might not otherwise have an opportunity to enter higher education. Edward Waters College prepares students for careers in teaching, technology, research, religion, politics, and other leading fields of today and in the future. Edward Waters College is moving forward!